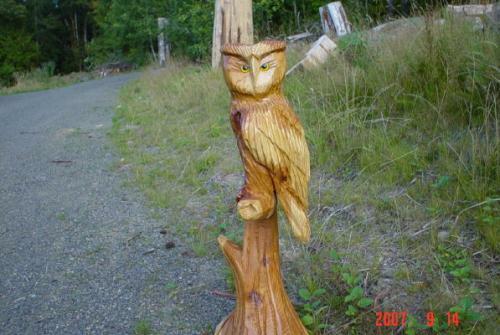 Cedar owl carvings are so pretty when left with a clear marine spar varnish on them. 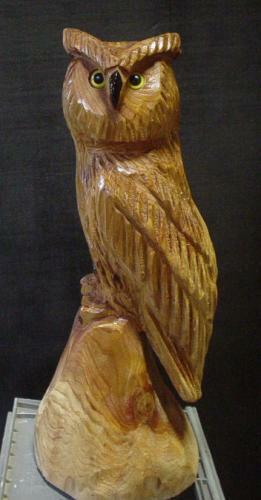 The grain of the beautiful cedar wood is breathtaking in this lovely owl sculpture. One of Alaska's great wonders is its Great Horned owls. In this artistic piece, Eric gives us a view of the mama owl watching over her baby owlets. 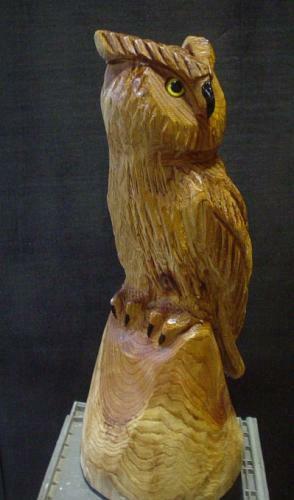 Here is a smaller version of a chainsaw-carved Great Horned Owl. Eric left it clear-coated in order to display the beautiful grain of the cedar. The sculpture stands approximately three feet tall. 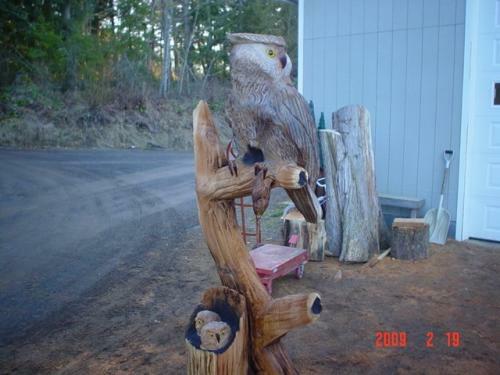 This six-foot Owl tree wood sculpture is created from Alaskan spruce and has a slight gray stain on the owls to separate them from the tree. They really look neat in the garden, the porch, or in a corner of the house. Great-horned owls are one of Alaska's majestic birds. One doesn't often see them, but when they do come swooping in, it's a treat for the eyes. 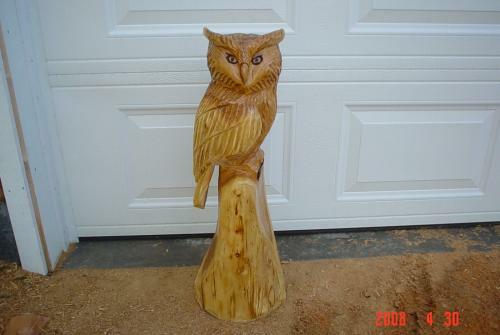 This lovely cedar wood sculpture is approximately 21 inches and has a varnish as the protective coating in order to allow the beautiful grain of the cedar to shine. 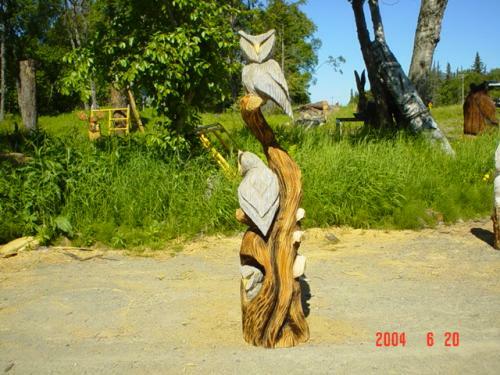 A side view of the previous Great-horned owl chainsaw carving.